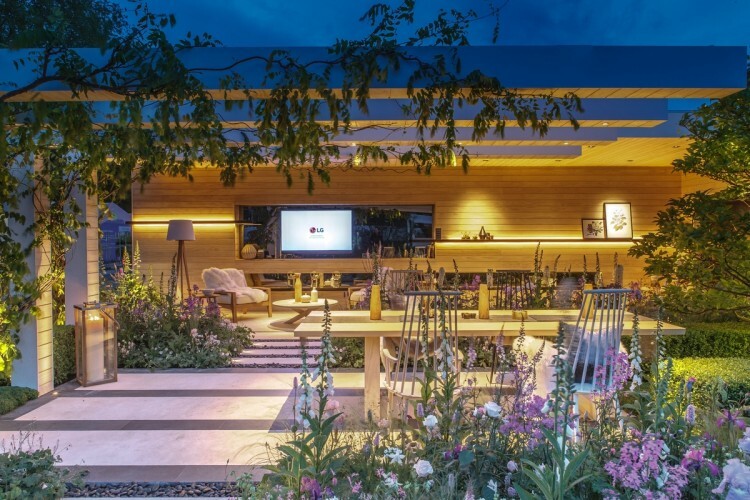 We are proud to announce that we have lit the award winning LG Smart Garden at Chelsea Flower Show 2016, designed by the talented Hay Joung Hwang and built by Randle Siddeley. 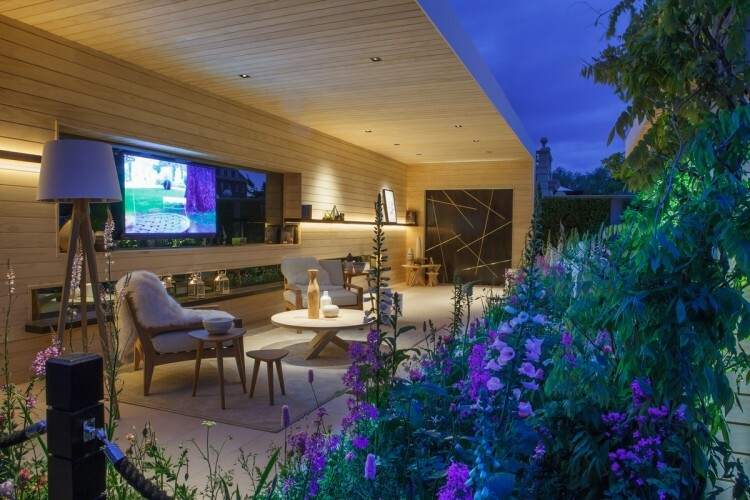 The design is based around a Scandinavian lifestyle garden concept and demonstrates how technology can work alongside a garden as well as the house. Here you can see our Fazer downlight above the table, with our linear Contour HD24 lighting along the back shelving and the Square downlights lighting the artwork on the back wall. The pillars have been uplit by our External Lucca uplights, with our spiked Kensington lighting the tree in the foreground and our Guida step light is used to create a feature of the pathway at low level. 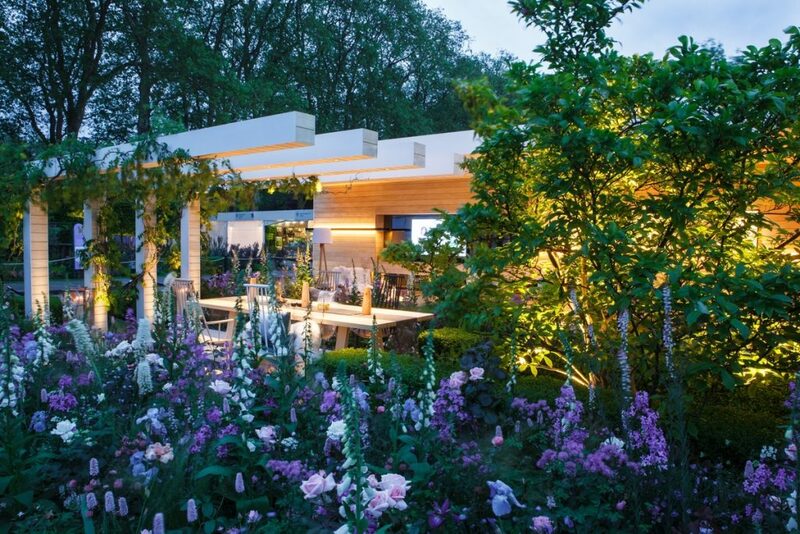 At John Cullen Lighting we have an extensive range of garden lighting products other than seen on this garden for Chelsea Flower Show 2016 which can be seen here. To see them in a range of different style garden take a look at our Garden Lighting Project Showcase. 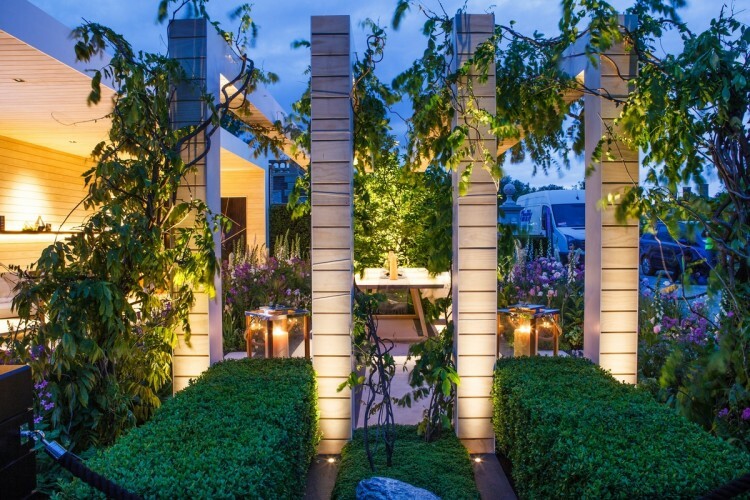 On 7th June we will be holding a Garden Lighting Masterclass at our showroom, there are still limited spaces available. Please click here to see more information and how to reserve your space.